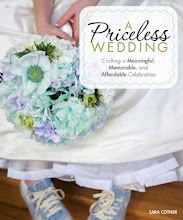 2000 Dollar Budget Wedding: Guest Lists, Parent Involvement, and Sincerity--Oh My! Guest Lists, Parent Involvement, and Sincerity--Oh My! Some of my friends and I send out individual monthly e-mail updates recapping the triumphs and trials of our lives for the past month. It's a great way to stay connected with a lot of people in a lot of places. Sure it's mass-communication which always gets a bad rap, but if you put enough voice and raw honesty into the update, I think people are inclined to read it. My friend, Allison, sent out her first update since our wedding. Because I saw her at the wedding, I technically should've known most of the important stuff in there. But, much to my surprise, there was major news I had not heard, such as the fact that she was training for a marathon. This revelation reminded me that I didn't have as much quality time as I would have liked with the guests at my wedding. 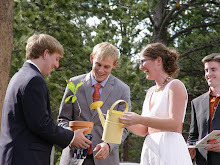 And our 80-person wedding was relatively small! And I got to see people at multiple points throughout the day because many of us stayed at the same place! The truth is, I did get to spend some quality time with Jason and Allison. We even sat down to play a board game together in the middle of the reception. I've been to so many weddings where--as a guest--I've spent little to no quality time with the bride or groom (Editor's Note: I'm not being heterosexist by using the phrase "bride or groom;" I've just never been to a gay marriage!). If I'm a bridesmaid, sure. I get to be part of the inner-circle. But other than that, I've felt kind of like an extra in a movie. I say hi to the folks getting married when my turn comes up in the receiving line. I'm sometimes included in the professional photographs when I'm part of the "college group" or "Teach For America group." We exchange small talk if there's a sit-down dinner and the bride and groom make their rounds to every table. This type of wedding ends up feeling surreal to me. It feels like a charade or a facade or a "meet and greet". I end up feeling like, "Wait a second. This event should be the most sincere and authentic public expression of their love and yet this whole thing feels like a TV show." There's very little sincerity and authenticity in a TV show. It looks one way on the surface, but there's a lot going on behind the scenes. So much of it is fake or constructed (even supposedly "reality" TV!). My friends have said to me, "We just want our wedding to be over." Or their weddings were so stressful they got seriously sick after it was over and their bodies could finally let down their guards. I didn't want that for my wedding. Matt's family and Matt and I decided early on that there should be a separate reception--weeks or months after the wedding--to bring together all the family friends or parents' friends who weren't included on our short guest list. We wanted our guest list to only include our nearest and dearest. In the end, I was much more relaxed saying my vows in front of 80 of my closest friends and family than I would have been in front of 250 quasi-friends and quasi-strangers. "Your wedding day is really your parents' day as much as it's your day... in fact, they've probably dreamed and hoped for a loving marriage for you since they first held you in their arms. Your parents may well have personal friends, or even close family that you don't know well if at all (our parents do!). It's important for your parents to feel really included in this celebration - to feel like they share it with you, not that it's just yours." I wholeheartedly agree that weddings are about family (your family of origin and/or your family of choice). And of course I want those two families to feel "included in this celebration." But I don't see how that premise leads to the conclusion that parents should be able to invite their closest friends--friends you don't even know. My family did share the wedding with their friends--through photographs and videos after the wedding--not by actually inviting them to the wedding. Chances are, there are already going to be people you don't know at your wedding. There will be some relatives on the other side or some guests of guests on your side. I already felt stretched thin trying to meet all the new friends and reconnect and cherish the old friends (and we only had 80 people there!). In fact, if my parents (or Matt's parents) had invited any of their friends that we didn't know, we would have had less time to spend with our actual families. That would have defeated the whole point! As it was, we got to spend a lot of time during the reception dancing with them, talking with them, hugging them, and hiking/horseback riding with them in the days before the wedding. 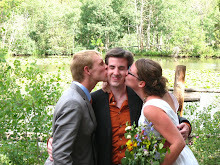 For us, that was the best way to include our family in the wedding. Although our families didn't agree with all our decisions along the way, they were immensely happy in the end. The event was the fullest expression of Matt and me. It was chock full of our tastes, preferences, and personalities. Because our families love us, they loved the wedding because it truly represented us. Is your backbone for rent? Because it would come in SERIOUSLY handy for my wedding! Thanks for giving me some good, solid talking points to go to my future mother-in-law (and her 27 cousins eek!) with. Your blog has been a joy to read! Make everyone feel involved, interested, entertained and loved. Thank you for posting this! We are planning a wedding with around 80 guests (plus about 10 kids) and more than half of them are our friends, not our relatives. These are the people who we choose to see on a regular basis; these are the faces we want to see as we stand at the altar (or more accurately, under the trees). I have read your whole archives and it (combined with the lack of anything really similar on the net) has inspired me to start my own frugal wedding blog. Thank you so much! Sara, this blog is so great! Thanks for continuing to post despite the fact that your wedding has passed. You have many really important insights for the rest of us. The issues you bring up here are tricky. Frankly, my man and I are footing the bill for our wedding mainly because we don't want to feel encumbered by our parents' desires. Of course we will take their thoughts into consideration, and invite as many of their guests as we can, but at the end of the day - as you said - the day should reflect the bride and groom, and first and foremost, they are the ones who should be surrounded by the people they love most. My FI and I have gone around and around on this topic, I think it's one of the hardest ones of the whole process. In the end we both wanted a big fun party atmosphere with lots of guests so that made it a bit easier. We also picked a venue that's not huge (capacity 250 people) and that helped us say no to too many guests. I'm still hoping we come in under 200. We'll see. We wanted our parents to have friends there, but we made a rule that at least one of us had to know and like them, we don't want strangers at our wedding (my mother was very offended by this, but she who does not contribute does not get to make rules). I do think it's partly their day too, to enjoy their children's love with people who are important to them. We had to put our foot down when FI's mom wanted to invite the adult children of all her friends, who FI and I don't know or hang out with. We had to cut some of our friends we're not as close to because of our venue size, so we were not going to have people who aren't important to us just because they're related to others who are. I'm with you on this one. We actually kept our wedding even smaller at 50 people, but we're having another 50 later in the evening for the party. Some of our parents (all divorced, so 8 between us including new partners!) wanted to bring friends. Personally I found that to be quite peculiar. It never made sense to me that they would have friends to our wedding any more than I would have brought friends to theirs birthday parties, for example. I totally understand Meg's way of thinking, but to me it makes sense to keep it as small as possible so that it can be as intimate as possible. 2) Our parents have similar styles/ tastes/ friends to us. They don't tend to ask us for things that we are uncomfortable with. I'm not assuming this isn't true for you, but I know it is not true for everyone. 3) We're extroverts. It might be as simple as that. Having more people to talk to multiplies my joy. I could talk about a bunch of other things, like how seeing my parents talk to their good friends at our engagement party, and seeing their pride and excitement reflected in their friends eyes - how that alone made my night. But, I'm not sure that's the crux of the thing. (though, it's worth keeping in mind). I love, by the way, how your blog encourages discussion. i think that, in order to make our (or your) parents comforatble during the reception, it is necessary to invite at least one of their close friends- maybe one that has known you since you were a kid but that you don't talk to...only because it makes it better for the 'rents. not everyone is comfortable with going around and talking to random people they don't know. as much as i wish most of my family were extroverts, many of them are introverts and not exactly the best conversationlists to those they don't know. so, in my case, i think it will be considerate to save a few spots on the list for a few of their friends that i normally would not have invited. (although i'm not inviting random aunts and cousins i don't talk to.) so i am still keeping the guest list chock-full of people we want there, but we want people to feel comfortable, so if that means inviting a few of our parents' friends, then so be it. This was a bit of an issue for us when we began, but I think we're reaching good consensus about it. At first I was frustrated by my mother's desire to invite about 20 people who i don't really consider my friends, but then I realised that part of her (subconscious) reason was that she got married at 19, overseas, with very little money; she never really got the big wedding thing. Add to that that all our family are overseas so her friends are her substitute family, and that I'm an only daughter, and I realised that I would need to shift my position. At the same time, I was really concerned about the possibility that I would have to not invite some of my own friends - people I love and value - to make room for my parents'. When I voiced it in these terms, my mother was understanding, so she has cut down her expectations. Also all the people my mother are inviting are really wonderful, helpful people who are assisting wholeheartedly with lots and lots of DIY stuff to help the costs down, so I really can't complain. 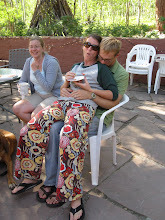 We held a simple engagement party so that I could at least meet them all before the wedding - and they did all the food for that. Win win!